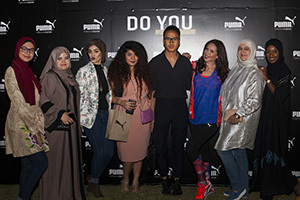 GRAZIA celebrated together with PUMA, in December, at The Westin Doha Hotel & Spa its new DO YOU campaign. Three of Qatar’s most inspiring athletes and wellness professionals contributed to make the new PUMA’s female empowerment campaign more lively than ever through some shots that were shared during the event to show different facets of the brand and of its idea of fitness. GRAZIA team and over 80 women could enjoy the party with healthy snacks and receive a lovely goodie bag.